Revelation 2:7a He who has an ear, let him hear what the Spirit says to the churches. Christ’s letters to the seven churches in Asia are recorded for us in the second and third chapters of Revelation. In each one of them, the Lord signs off with this formula. He who has an ear, let him hear what the Spirit says to the churches. It is increasingly evident today that the Holy Spirit is not present (perhaps never was?) in many, many local churches, pastors, and members. How do we know this is the case? Because they will not (can not) hear what the Spirit is saying to them. That is to say, they are deaf to the Word of God. Show them Scripture, plain and simple truths right in front of their eyes, and they cannot see or hear. They can not because they will not. He who has ears…let him hear. The real Christian has “ears.” The Spirit indwells the believer and illuminates his mind’s eyes to see and warms his heart to love Christ’s truth. But not all who claim to know Christ really do and therefore they are deaf and blind. It is a willful blindness of course. They choose to reject His Word and therefore they cannot be given sight. That all these things are true become plain not only from the Scriptures but also to anyone who shows God’s Word to “Christian” people. 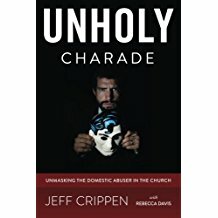 In my case, not only as a pastor but as one who ministers in exposing domestic abusers hiding in the church, I have seen this over and over again. The Lord repeatedly, literally from Genesis to Revelation, instructs His people to protect the oppressed from the wicked. The widow, the orphan, the stranger in the land. Exodus 22:21-24 “You shall not wrong a sojourner or oppress him, for you were sojourners in the land of Egypt. (22) You shall not mistreat any widow or fatherless child. (23) If you do mistreat them, and they cry out to me, I will surely hear their cry, (24) and my wrath will burn, and I will kill you with the sword, and your wives shall become widows and your children fatherless. Don’t miss how huge this is. Hundreds of verses in the Bible repeat this very command and warning. Hundreds. This is why I continue to tell people (most won’t listen) that the subject of domestic abuse, particularly in the church, is one of the acid tests of whether a church or pastor or member even belongs to Christ or not. Where the Spirit of the Lord is, there is freedom, not oppression. There are ears to hear, not deafness. There are eyes to see, not blindness to the plight of victims of evil. And yet the vast majority of professing Christian churches today do not have ears to hear these things. They do not have hearts softened by the Lord to love His Word and His people. Instead, they enable the wicked and ally with them just like the counterfeit church of Martin Luther’s day. God says that such religion is defiled. Filthy. Disgusting. He says that His curse, not His blessing, rests upon such places and people. All that you say about the vast majority of churches not hearing truth is so true. I’m about to be basically excommunicated from my church while for more than a year they preach sermon after sermon about how “we can never know if someone is a Christian or not based on their lives” — a very encouraging message for my abusive husband of course. See it? Everyone is a Christian, no matter how evil their deeds. We must never judge. We must assume. And yet anyone who knows anything at all about God’s Word in truth knows full well that the Bible reiterates over and over and over that it is by a person’s fruit that we can know what the are. James says, “look at their works.” The Old Testament prophets said “you claim to be My people, you come to My sanctuary with your sacrifices, and yet your hands are covered with blood and injustice, adulteries and robberies. Close the doors of My house!” Yet today we have these pastors in pulpits, claiming to speak from the Lord, who tell us that no matter how a person is living, if he says he believes in Jesus, he is a Christian and we are bound to treat him as a real Christian. 1 Corinthians 5:11 But now I am writing to you not to associate with anyone who bears the name of brother if he is guilty of sexual immorality or greed, or is an idolater, reviler, drunkard, or swindler—not even to eat with such a one. Everyone may be welcome in such “churches,” but they are not welcome in Christ’s church. Coming back again to those letters in Revelation 2-3, just take note of how many of them include instructions to expel the wicked from among the congregation and in fact the Lord “has it against” the churches who have not put such evil out. Where the Spirit has departed, evil sweeps in and reigns. It is my conclusion that in our day many (and actually I believe, “most”) local churches are not the temple of the Lord at all, but mere facades with nothing behind them like those fake Hollywood western town movie sets. Depart from such places. Find Christ’s real remnant.